Last year Manon did a few of these circular dotticures, and the colors used in this one are so pretty! Wow, I kinda forgot about this beautiful rich shade.. but looking at it reminds me I should wear it again soon! Glam Polish Legendary unfortunately isn't available anymore. Yay thermals ♥! This one from Liquid Sky Lacquer is such a beauty - teal, holographic and that fun color change. Hello holo! This is Polish Addict Nail Color Unicorn 2.2, a lavender topper I used over a creamy base from Essence. Such a sparkly beauty! 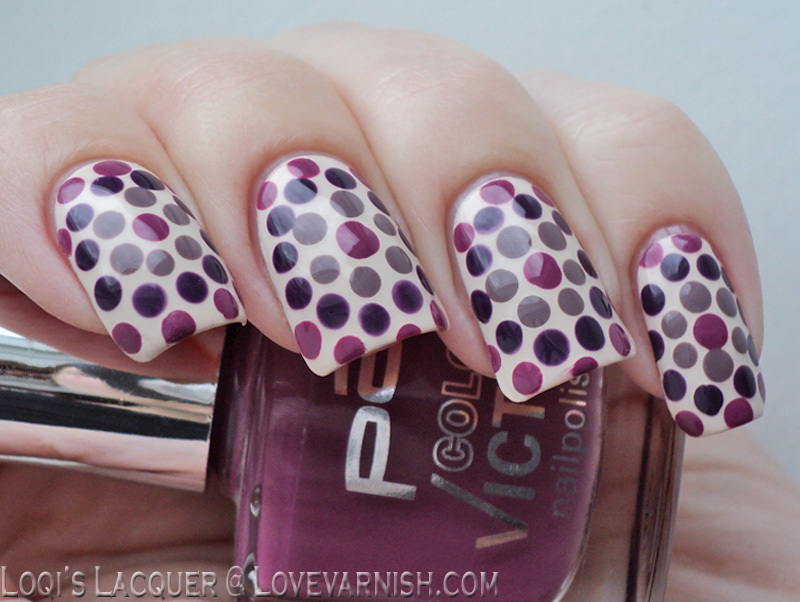 That circle dotticure is pretty. It took me a moment to see the pattern and the circles. At first it looked like one of those color blindess eye charts. Oh my, Teal It Like It Is is gorgeous!! Teal It Like It Is is so pretty! It does look like that a bit, funny! I need to wear it again, such a shame it's been collecting dust for over a year..